Men with early stage prostate cancer who are given a slightly higher daily dose of radiation during therapy can reduce as much as two weeks of radiation treatments without compromising control of the disease, according to researchers at the Duke Cancer Institute. The study included about 1,100 men with early stage prostate cancer — diagnosed before it had spread. About half received the standard treatment of 41 treatments spread over weeks. The second group received the higher doses for just 28 treatments spread over 5.5 weeks. Researchers also discovered that even though side effects among patients were slightly less in the standard regimen, both treatments controlled the cancer equally. After a five year follow-up, disease-free survival was no different between the two groups, with about 85.3 percent of men in the traditional group being cancer-free, compared to 86.3 percent of men in the shorter regimen group. Overall survival at five years was also no different, at 93.2 percent and 92.5 percent respectively. “This study has implications for public policy,” said lead investigator Dr. W. Robert Lee. He is a professor at the Duke Cancer Institute’s department of radiation oncology, in Durham, N.C. Treatment options for prostate cancer vary. 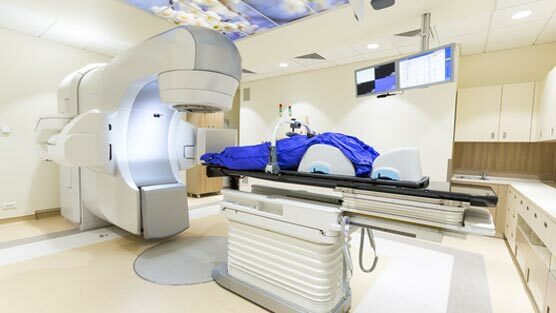 Radiation treatment for prostate cancer however has shown that it can lead to more complications following treatment than those who underwent surgery. Men need to take the time to do their research to learn exactly how “radiation” really works and what kind of side effects they may have to live with. The study was published on April 4 in the Journal of Clinical Oncology and was partially funded by the U.S. National Institutes of Health and the U.S. National Cancer Institute.